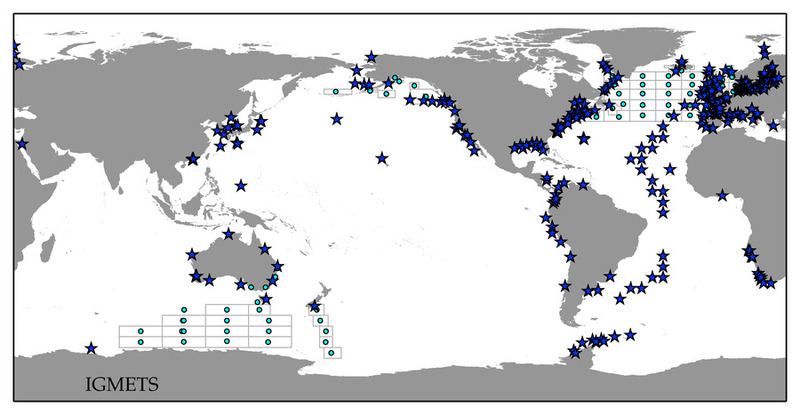 The International Group for Marine Ecological Time Series (IGMETS) is compiling a database of marine ecological time series metadata. This "METabase" will be a directory of time series sampling efforts from around the globe, providing information on the location, sampled variables, years and frequency of sampling, associated investigators and institutions, and contact information. This directory will facilitate better discovery, coordination, and communication among time series researchers and within the climate and ecosystems research community.